Ewbank, Ann. 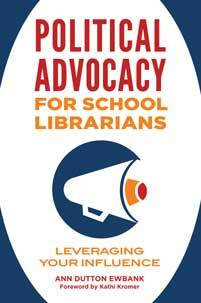 Political Advocacy for School Librarians: Leveraging Your Influence. Libraries Unlimited, 2019. ABC-CLIO, publisher.abc-clio.com/9781440863899.